We qualify as a broad-based black economic empowerment (BB-BEE) company. 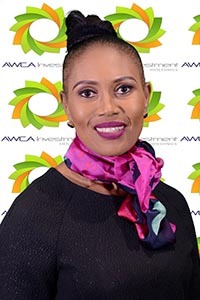 AWCA Investment Holdings (AIH) is 100% black woman owned, where shares are held by natural persons. The shareholders are 54 black women majority of whom are CAs, captains of industry and spread across different sectors and provinces. This makes AIH a unique, professional women investment company with depth of financial skills, key to all businesses. We have a diversified investment portfolio. Women Investment Partner of Choice. © 2018 AWCA Investment Holdings. All Rights Reserved. Sindi Mabaso-Koyana, is currently the Executive Chairperson of The African Women Chartered Accountants Investment Holding Company. She is the outgoing Chairperson of Advanced Capital and of the Advanced Group of Companies. Sindi is a Chartered Accountant by profession with experience in the public and private sector. Her illustrious career includes being Managing Director of Viamax Logistics, Group CFO of Transnet, Executive Partner at Ernst & Young. 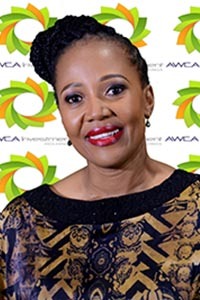 She has served on a number of boards including Transnet, SAA, South African Institute of Chartered Accountants, MTN, SANRAL, Altron Group, Broadband SA, Armscor and FIFA in Zurich as the Deputy Chairperson of the Audit & Compliance Committee as part of the Governance Reform process. Her current board positions include Adcorp Holdings LTD, MTN Zakhele LTD and Toyota SA. 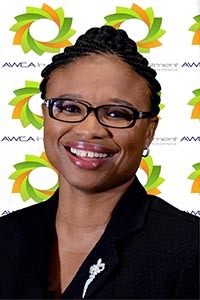 She is the Founder Member and Former President of African Women Chartered Accountants(AWCA). She now chairs the Advisory Board of AWCA. Sindi is a renowned leader and champion in growth and development of young women. Sindi has been named one of the Top 20 Most Powerful Women in South Africa and was a Finalist for the Business Woman Award of South Africa in 2004. Sindi was, in 2013 nominated by The CEO Magazine’s Most Influential Women in Business and Public Sector. She was the Chairperson of the Task team of The South African Institute of Chartered Accountants which launched the paper on Meaningful Reporting on Broad Based Black Economic Empowerment (BBBEE) and is now the Chairperson of the Chartered Accountancy Sector Charter. Sindi is a Fellow of the Aspen Global Leadership Network (African Chapter). Jesmane Boggenpoel has over 16 years of work experience, mainly in investments, private equity and as an entrepreneur. Ms Boggenpoel was the Head of Business Engagement, Africa for the World Economic Forum for three years (2014-2016). She has worked for Brait Private Equity and in the corporate finance departments of Anglo American and KPMG. 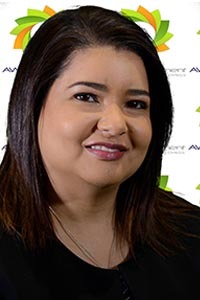 She co-founded an investment holding company and was an executive director and shareholder from 2005 to 2007, during which time she executed two investment transactions in the financial services and information technology sectors. Boggenpoel has served on several boards and committees, including Land Bank, Senwes and Cell C. She is presently a non-executive board member of Adcorp. Further, Ms Boggenpoel is a founding board member of African Women Chartered Accountants Investment Holdings (2007 to date). She is a Chartered Accountant (South Africa) and holds a Bachelors of Commerce and Bachelors of Accountancy from the University of the Witwatersrand. Boggenpoel completed the Mid-Career Masters in Public Administration at Harvard University’s John F. Kennedy School of Government in 2012 and courses included Venture Capital and Private Equity. Ms Boggenpoel is an Edward S Mason fellow and a Young Global Leader of the World Economic Forum. She has lived on three continents for work or studies (North America, Europe and Africa) and travelled to 60 countries, including 21 African countries. Nomavuso is a Chartered Accountant, having obtained her B Compt and Hons from the UNISA. She trained at Deloitte and Touche and after completing her articles she spent one year at Deloitte before joining SizweNtsaluba vsp (former Nkonki SizweNtsaluba). She spent 10 years as Senior Partner and Exco member at SizweNtsaluba VSP. She was specialising in consulting, internal auditing and attest function. She started the Corporate Governance division which housed the internal audit services as she identified this opportunity during the introduction of the Public Finance Management Act (PFMA). She was also involved in staff development and training as a staff partner for five years. Some of her major clients included, Eskom, SAA, MTN and Sentech. Nomavuso was the head of the Imperial Group Internal Audit division and responsible for risk management in the Group. She successfully implemented risk management in the group both locally and internationally. As a result, she obtained a good understanding of the various industries within which the Imperial Group operates. Having recognised the shortage of black qualified Chartered Accountants in South Africa she introduced Training Outside Public Practice (TOPP) within the Imperial Group. Her current directorships include Nedbank, JSE, ArcelorMittal, and IDC. She has previously served on the boards of Landbank, Wiphold, Imperial Bank and Optimum Coal. Precious Sibiya was recently employed as the Director for Internal Audit (KZN) at SekelaXabiso. Prior to joining SekelaXabiso, she was employed as General Manager Financial Reporting at Passenger Rail Agency of South Africa, where she was responsible for consolidated group financial reporting. Prior to that, she was employed by Eskom Holdings SOC as Divisional Risk manager and thereafter General Manager Finance for Key Customer Sales and the Primary Energy divisions. Prior to joining Eskom, she was the head of Risk Management at Development Bank of South Africa (DBSA). Her role involved developing Risk strategy and assessment of risks on projects that the bank was investing in within the SADC region. She completed her articles at Deloitte in Durban where she qualified as a CA in 1997. She is passionate about community development especially programmes involving children. Precious is a member of the South African Institute of Chartered Accountants and African Women Chartered Accountants. She currently serves on the boards and/or audit committees of Parliament of South Africa, Financial Intelligence Centre, Gauteng Provincial Government, National Gambling Board, Reef Tankers (Pty) Ltd and Energy One (Pty) Ltd.
She has previously served on the boards and/or audit committees of AWCA, Union Life (Board and Audit committee member), NEHAWU Investment Holdings (Board member and Chairperson of Audit and Risk committee), South African Reserve Bank Captive Insurance Company Limited (SARBCIC)(Board and Audit committee member) and SekelaXabiso (Board member and shareholder), City of Johannesburg (Audit, Risk and Performance Audit committees member), and Eskom subsidiaries in Africa (Umeme Ltd, Elgas). Melanie Elephant is employed as a Manager within the Diversified Lending and Leverage team of Standard Bank’s Investment Banking division. Her role includes the origination and execution of term lending transactions for corporates listed on the Johannesburg Stock Exchange. 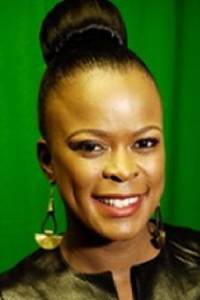 She has gained extensive experience in Black Economic Empowerment (BEE) both in her capacity as Operations Director at PKF BEE Solutions and Regional Executive at Empowerdex. Prior to joining Empowerdex, Melanie managed an audit practice as a sole practitioner, servicing both private and public companies. Melanie qualified as a Chartered Accountant in 2004 after completing her training contract with Deloitte & Touché in Johannesburg in 2003. In October 2007, Melanie joined the Board of African Women Chartered Accountants (AWCA). Her role in the Professional Development portfolio included the facilitating of Qualifying Examination preparatory workshops for members and hosting of the annual AWCA Career conference which showcases employment opportunities for members. 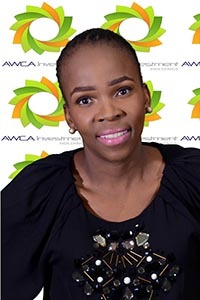 She has also been responsible for fostering and maintaining key stakeholder relationships as part of the Strategic Alliances portfolio and spearheads the AWCA weCAre CSI project which aims to help disadvantaged individuals by providing them with monthly food parcels. 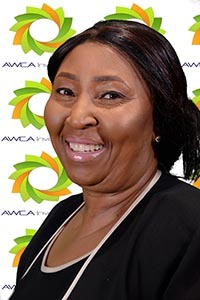 In 2011, Melanie assumed the role of Deputy President, a position she held until her resignation from the Board of AWCA in 2015. Gugu Sepamla joined the World Economic Forum’s Young Global Leaders under the age of 40. Achievements like these are nothing new for Gugu who was previously named as one of 2016 Mail and Guardian Top 200 Young South Africans. As former MD at Barclays Africa, Gugu was responsible for looking after a portfolio of strategic investments across various sectors, and heading up the Public Policy and Regulatory Affairs. She has Post Graduate qualifications from Wits, Havard, Insead and Yale. Her diverse professional experience ranges from Strategy, Emerging Markets, General Management, Public Policy, Corporate Governance, Business Development. Gugu serves on a number of boards including but not limited to Air Liquide, AIH, Boston Consulting Group (“BCG”), Wits Business School and served for 5 years at Media Development and Diversify Agency (“MDDA”) as Chairman. 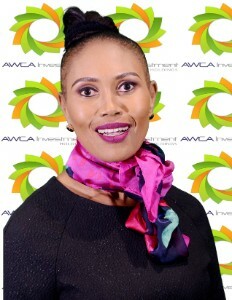 Prior to joining BCG, Gugu has held various senior positions at Barclays Africa as Managing Director for Public Policy and Regulatory Affairs and at Ernst and Young, Public Investment Corporation (PIC), Spin Media, State Information Technology Agency and the South African Broadcasting Corporation. In recognition of her leadership and achievements, Gugu is an ALI Fellow. She was named by Forbes Magazine, for two successive years as one of 10 Most Influential Females in Africa. Gugu is passionate about business, the advancement of women in business and transformation. In honour of recognising the importance of human rights in the empowerment of young women, she teaches Maths and English in Soweto. Gugu is a Senior Advisor at The Boston Consulting Group. She was a Senior Partner at Ernst & Young. She is the Public Sector and Government Leader in Africa and a priority account leader. She was appointed to the leadership team of the African firm and contributes to leadership of the firm across the globe. In a short time, she has made a meaningful contribution to the firm in a number of different ways. Gugu has demonstrated her leadership strengths among her colleagues by engaging them strategically in significant areas of the business related to both its market and people strategies. As such, she has earned their respect and is often sought for her advice and guidance. Gugu is one of South Africa’s pioneering women working across business and government with a focus on global financial services. She has also been adviser to many senior government leaders at a ministerial level. As a Fellow of the Aspen Institute’s African Leadership Initiative, Gugu has been identified as a leader within Africa who is a role model as well as pioneer across disciplines. 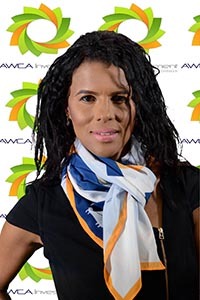 Buhle Hanise is the Deputy President of the AWCA. Buhle is also a Senior Account Manager at the IDC in the Workout & Restructuring department. She has recently been appointed effective 1 March 2018 to Senior Management Level 2 and continue to Team Lead the Business Rescue team. I am responsible for managing and formulating plausible solutions for distressed clients, clients in business rescue and maximizing recovery for the IDC by formulating turnaround strategies and or financial restructurings. Buhle Hanise completed an Advanced Course in Business Rescue Practice from the Law Society of South Africa (LSSA). Buhle also completed a Development Finance Programme from University of Stellenbosch (USB) Business School. In 2014, she obtained an Advanced Certificate in Insolvency Law and Practice from the University of Johannesburg. My previous positions were at Nedbank Corporate and Standard Bank Mid Corporate as Credit Manager and as Senior Credit Manager respectively. She is currently the Deputy President of the African Women Chartered Accountants (“AWCA”).